Russian military to perform observation flight over U.S.
A group of Russian military experts will perform an observation flight over the United States while U.S. military experts will perform an observation flight over Russia, Sergei Ryzhkov, the head of Russia’s Nuclear Risk Reduction Center, said on Nov. 13. 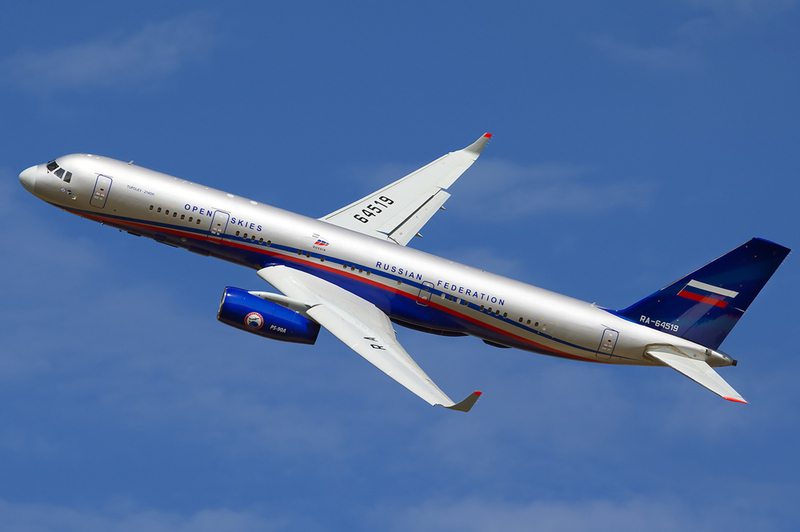 "Under the international Open Skies Treaty, Russian inspectors plan to make an observation flight onboard a Russian Tu-154MLk-1 plane over the U.S. territory," he said. The flight will be performed in a period from Nov. 14 to Nov. 19 from the Travis Air Force Base in California. The maximum range of the flight will be 4,250 kilometers. The U.S. military will perform an observation flight over Russia in a period from Nov. 14 to 18. The flight will be performed onboard an OC-135b plane from an airfield in Russia’s Far Eastern Khabarovsk, he said, adding Russian specialists will be on board the U.S. plane to monitor compliance with the provisions of the treaty. Correspondingly, U.S. specialists will be onboard the Russian plane.